Ironman 70.3 San Juan – Why did I win? I have to say last weekends result surprised me a little, not so much that I actually won more so the way in which I won. I think it surprised a lot of people. I would be wrong to say I didn’t think I could win San Juan; I did, although the thought was a little distant and I was in San Juan as an ITU prepared athlete aiming to have fun and observe some legends. My training has been consistent and my mindset towards my training and racing has become a lot clearer of late. My decision to actually fully commit to non-draft racing only came about 4 weeks ago. My initial focus on early season goals was primarily to perform well at ITU World Triathlon Series San Diego with my first season peak targeted at being for the ITU European Championships in June. My preparation all winter has been focused around ITU racing and this peak in June. Ironman 70.3 San Juan was always in the plans however it was only ever supposed to be an experience race and act as prep for San Diego. Only 4 weeks ago, after it was revealed my national federation was to primarily support long distance athletes focusing on Kona, over Olympic focused athletes competing in the ITU World Triathlon Series, I lost trust in the system and decided to go my own direction. It was only 4 weeks ago that we switched my focus and training approach 100% to non-draft competitions. Group rides become solo specific rides and that was about as much as we changed. Other than this my prep for Ironman 70.3 San Juan was mainly the same prep I would of done if I was racing San Diego. So why did I perform so well in San Juan? It is a combination, I believe of two things, becoming independent and preparing as though I was racing an ITU competition. Leaving the national federation meant I also had to change my season goals. Instead of targeting the ITU European Championships I decided 2013 was to be all about having fun, enjoying, learning and developing as an independent athlete primarily focusing on non-draft racing in the U.S. This meant no ITU World Series San Diego, no ITU World Series racing at all for 2013. Since my decision I have really felt a massive sense of relief, I have felt I am able to relax knowing it is all down to me now; I make the decisions, I dictate what races I do and most of all I have no unnecessary pressure or expectation from a federation. Admittedly it took a financial sacrifice leaving the federation, hopefully over time I will stand in a better position. My recent decisions and new independent approach to my sport, I feel was a huge contributor to this past weekends result. The second and probably biggest contributing factor was my approach into this race as an ITU prepared athlete. ITU racing is what I know; it is why today I can call myself an Olympian and I owe thanks to the ITU for this. It has been really tough over the past 3 – 4 years gaining almost zero recognition, despite working so hard to become one of only two girls in Denmark capable of qualifying for the Olympics. Very few people in Denmark actually understand what ITU racing is, how competitive the races are and more so just what standard of athlete races within the ITU. I certainly don’t blame the people for this lack of understanding I actually think it is a problem within triathlon globally. ITU racing is just not understood. The Olympics were my childhood dream, they are so elusive, available to only the very best at a chosen sport and this is what made them so appealing to me. I would much rather gain credit and recognition for being an Olympian than a 70.3 race winner, that is in no way discrediting an Ironman 70.3 victory it is more so understanding what level of athlete it takes to get to the Olympics. There are so many out there that discredit the athletes racing within the ITU circuit without actually knowing too much about that side of the sport. Too many people wrongly believe ITU athletes are not able to compete at non-draft events, especially over the longer distances. It saddens me also to know that many people doubted me as a person with an ability to be competitive in any competition outside of ITU racing but rightly so, I mean my performances at ITU events are certainly not what I would call ‘stand out’. My most notable results being a 2nd and 4th at an ITU World Cup, 7th at the European Championships, 16th in a ITU World Series event, 27th at the Olympic games and numerous European Cup victories. To those few in the know these results are credited and understood for what they are, however the reality of it is the majority overlook and discredit these performances without actually knowing what it takes to perform at the highest level within ITU. I believe the reason ITU athletes lack the credit and respect they deserve is a combination of things consisting of a) Elite ITU draft legal format of racing is just not accessible to the masses b) ITU races are few and far between in comparison to non-draft triathlon events around the world c) the standard of racing within the ITU is so competitive that despite often being within less than a minute of the winner, world class athletes are just not recognised by anyone, not even a federation, this then results in athletes having a really hard time to make ends meet. Nationally I think Denmark is one of only a handful of active nations within ITU that does not promote that style of racing, up until 2013 Denmark has had only one draft legal event throughout the entire country, is there any surprise that they now provide more funding towards athletes pursuing long course careers i.e. Ironman/Kona? Of course there isn’t. 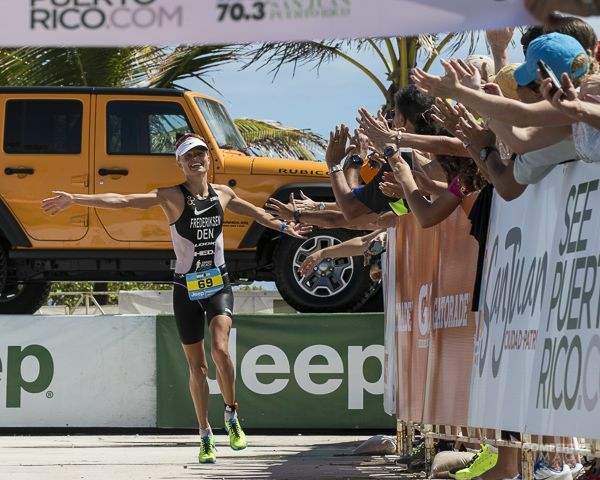 ITU racing is real, no matter how much credit it does not obtain I fully believe that my approach and focus on ITU racing is the main reason why I was able to be victorious in San Juan. The strongest ITU athletes can ride a bike and, I believe, ITU athletes of today will be 70.3 World Champions of the future. 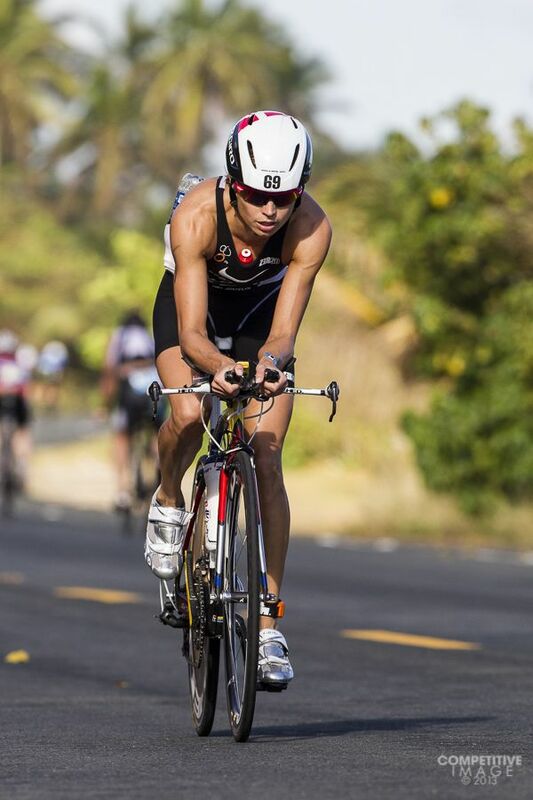 Ironman racing, that is a different game, different race, won in a different manner to a 70.3 event. A versatile, legitimate short course specialist will be competitive within any race up to the 70.3 distance whether draft or non-draft. My approach to training will certainly not be changing a great deal. What I think will change a great deal over the next 12 – 24 months is the standard and depth of 70.3 competitions, especially at major championships. I loved the San Juan experience and I am hungry for more, I now have some decisions to make and need to identify if I want to focus on the Ironman 70.3 World Championships in Las Vegas. Until my mind is set, I will continue training and working hard in the U.S. Thanks for all your incredible messages of support and congratulations since the race last weekend. My U.S experience is great and I really like it over here. Over the coming days we will release a short artistic movie approximately 3 minutes in length, that was filmed back in January by award winning photography and film director, John Hicks from the UK. I look forward to releasing it and I am really proud to have had the opportunity to work with John. A well-written blogpost with interesting standpoints! Very joyable to read something from within the sport that isn’t in the format of a teenagers SMS. Some athletes feel a state named The Zone, you could see a definition on these pages (http://www.time.com/time/magazine/article/0,9171,1147173,00.html) . I think your structured training and your recent becoming independent, boost your ability to be free of mind, perhaps sufficient to condition your recent performance.